Later on, they issued a 7" called "Mexico". 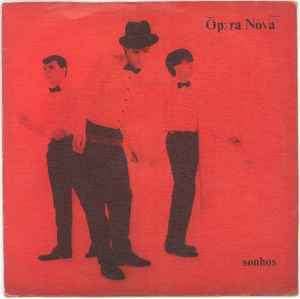 Luís Beethoven, the former singer (the closest thing to Billy MacKenzie to be found in POrtugal, but without the same ability for the high notes) was replaced by someone called Braunyno Fonseca, and there was only one of the musicians remaining. "Mexico" is a low budget production, kind of Depeche Mode meets Tijuana Brass, but it has a nice chorus (if you forget the lyrics...). The B-side, "Western", is quite poor. This was an interesting start, but I never heard again about these guys. How did they sound? Just imagine Depeche Mode in Portuguese.